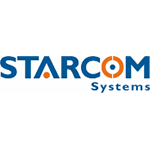 Starcom is large international company engaged in the development and manufacture of GPS equipment and off-the-shelf solutions for remote vehicle, asset and personal tracking. Company products are supplied to 50 countries worldwide through their partner network numbering more than 110 dealers. Official representative offices are opened in Argentinа, Kenya and UAE. The proprietary system is available in 32 languages. The chart below shows the changes within the last 30 days in the number units of Starcom devices type are connected to Wialon Data Center.